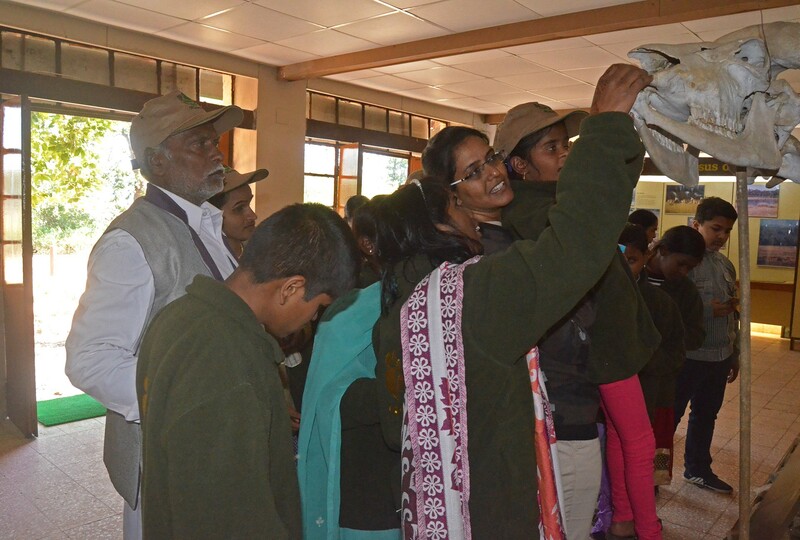 At the Kanha Interpretation Centre, everyone's excitement was almost palpable as we introduced them to the different skeleton structures of animals. They carefully examined the diverse shapes with their hands, Blackbuck antlers emerging as the clear favourite. “Kitna sundar hai! (It's so beautiful! )” they exclaimed; gingerly wrapping their fingers around the ridges in the antlers. Loud gasps of admiration echoed through the museum as they came in contact with the teeth of the wild boar. “Baap re! bahut pene hain! (How sharp these are! )” As they tried to squeeze their hands into the embossed structure of a tiger’s pugmark, to understand the difference between male and female, all they could murmur in excitement was how beautiful the animal must be. As I struggled to adjust to the pitch dark, the students spoke admiringly of the atmosphere of the room, the number of steps they had climbed to get here and patiently waited for the show to begin. 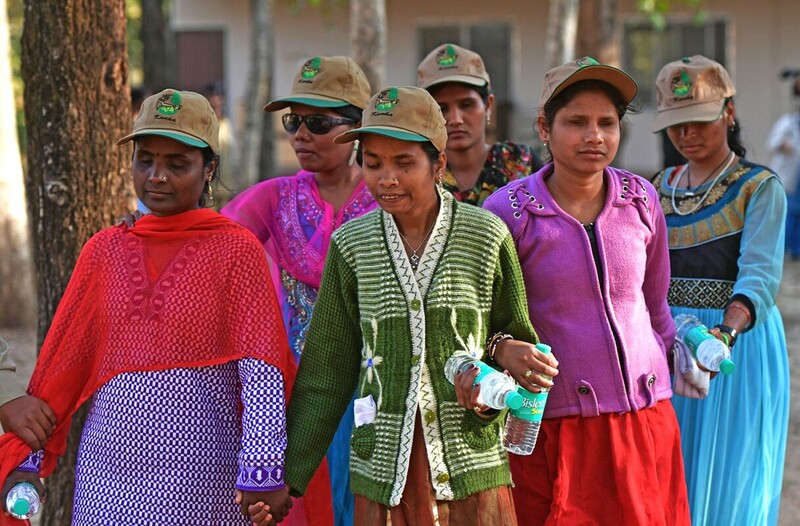 As the night life of the forest came to life with different calls, no one spoke, they were breathing it all in, shuffling slightly to the sound of rustling depicting animal movement and when it ended, they stood listing down all the things they had heard, clutching my hand in a fever of excitement, their reactions uncomplicated. I thought of the majority of tourists who visit the reserve every day, expecting the forest to deliver their money's worth and yet are never truly satisfied with the experience. 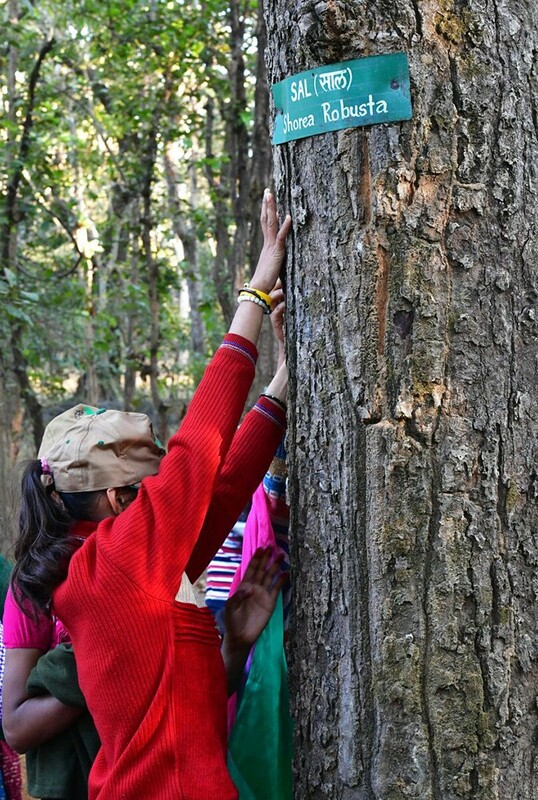 These students took the experience holistically, step-by-step, marvelling with equal enthusiasm whether it was the call of a Golden Oriole or to the rough touch of a sal tree. I was overwhelmed in that room — albeit with my limited understanding of the lives of the children — and realised that sometimes happiness can be sought from the most uncomplicated of things, only if we allow it to be. Bhavna graduated with a Bachelors degree in Arts from Delhi and later, moved to Mumbai to pursue her post-graduate studies in Journalism. She has been part of Last Wilderness since 2010 and is currently employed with Last Wilderness Foundation, an NGO working towards wildlife conservation as a Project Co-ordinator. She posts as @bhavnamenon on Instagram.